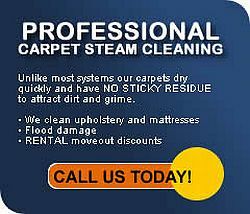 We at Sun Dry Carpet Steam Cleaning and Pest Control - Carpet Cleaning Murrumba Downs pride ourselves as leaders in the home services industry. Having been established since 1987 we have developed thorough work practices so that each job gets done right the first time every time. Sun Dry services are not part of a franchised group and our technicians are trained and procedures taught in house as a quality control measure. 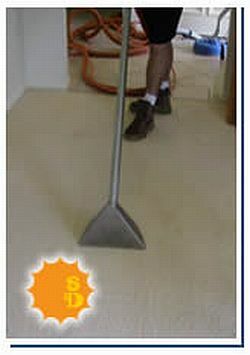 Our technicians at Sun Dry Carpet Steam Cleaning & Pest Control Service - Carpet Cleaning Murrumba Downs can apply carpet protector as an additional protection for your carpets. BOOK BOTH CARPET AND PEST CONTROL TOGETHER TO RECEIVE A FURTHER DISCOUNT. Unlike most systems, our carpet cleaning solutions have a neautral ph and we use low water pressure to clean. All carpets are pre- treated using a mix of enzymmes, solvents and prespray chemicals and then steam cleaned according to Australian Standard 3733-95. The result is a carpet that dries quickly and will stay clean for longer as there is no sticky residue to attract dirt & grime. Contact Us today for a FREE Consultation or Quote for all your Carpet Cleaning Services in Murrumba Downs.